Whenever most people think of walking, a mental image of someone strolling in the neighborhood or taking a brisk walk in the park pops up. But people walk a lot more than they realize. Are you a student? Then you’re probably doing a lot of walking around the campus between classes. 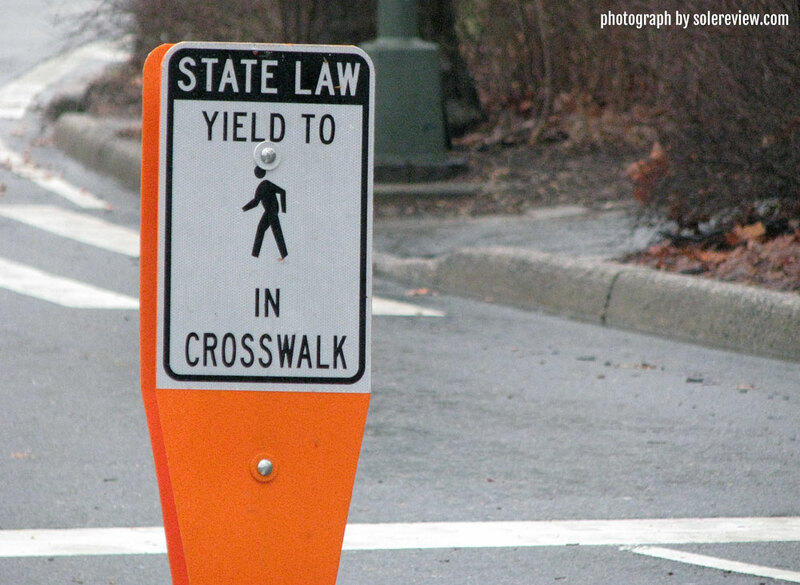 Going to a pedestrian-friendly city where the sights and sounds can be better absorbed by walking rather than driving? You’ll be surprised by how many miles of walking you can do in a single day of sightseeing. Do you walk from your home to the subway station on your way to work and back? That could be a couple of miles every day. And then there are professions which involve a lot of walking. Solereview receives a lot of questions from readers who work as mail couriers or warehouse workers asking which shoe they should buy. If you happen to work in a large warehouse or a factory, you can walk several miles daily without even noticing it. Or one could be a runner recovering from an injury, and walking happens to be a low-impact replacement exercise. It’s pretty obvious that your pair of brown brogues or flip-flops are inadequately equipped for walking. Well, you can walk in them, but those aren’t the best choice of footwear once the mileage exceeds a certain threshold. 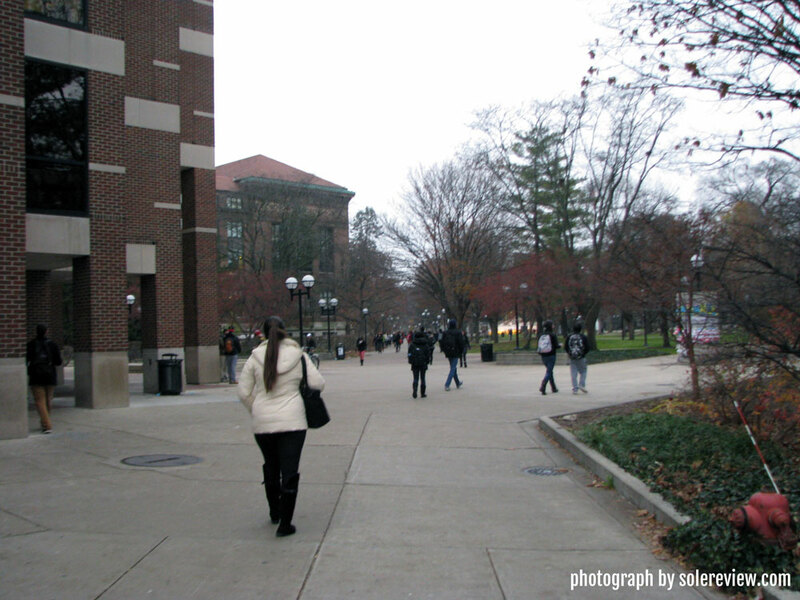 Keep track of the daily miles the next time you walk around campus. The results might surprise you. 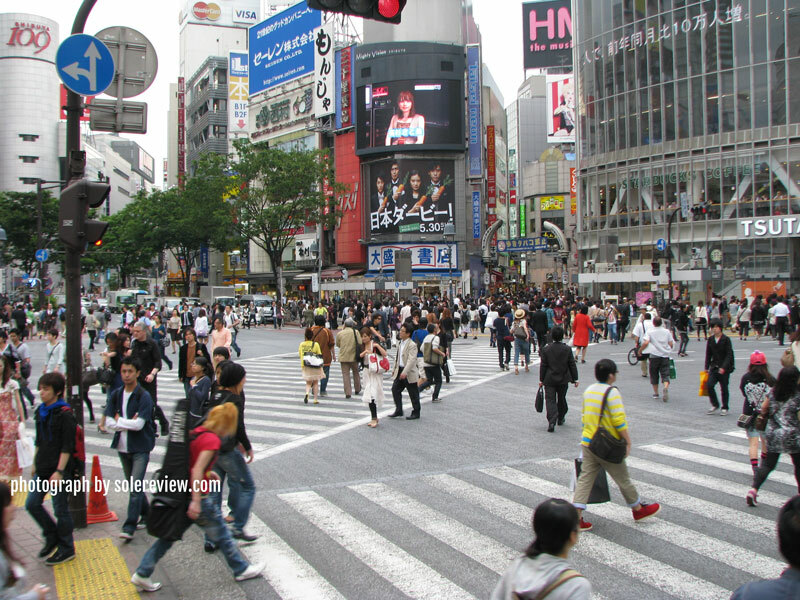 Tokyo is one of the most walkable cities in the world. 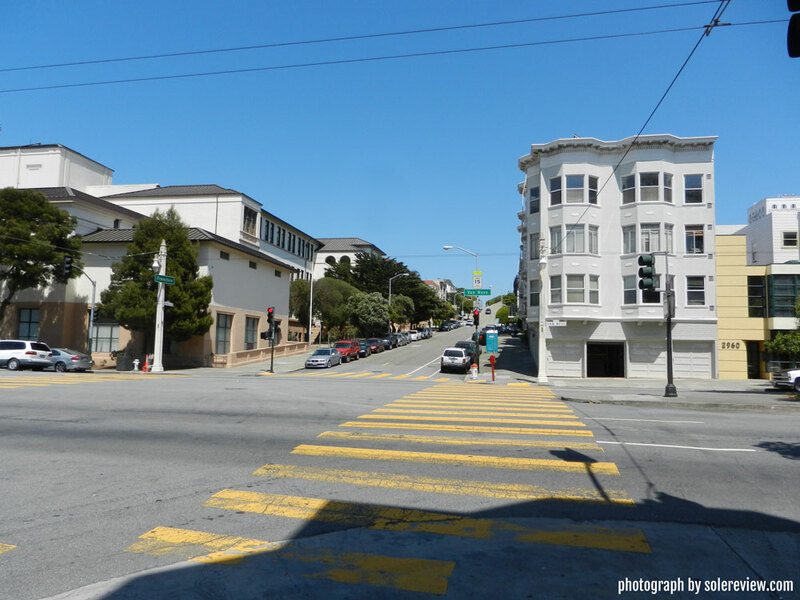 Some cities like San Francisco are better traveled on foot. Most sportswear brands sell walking shoes, but boy, do they look drab and uninspiring. Walking shoes lack the breadth of colors and materials found in running shoes. But can running shoes be worn for walking? Sure. But first, it is important to understand the fundamental difference between walking and running, and how it affects the choice of footwear. Shortly after the push-off phase of running, both of your feet are momentarily in the air. Contrast this with walking, where both feet can be in contact with the ground at the same time. One foot is flat on the ground, while the tip of the other foot is still in contact with the road. Hence, the transitions happen much in a much slower fashion than running, as the weight loading progresses gradually from the heel to toe. The shoe should have a beveled (angled) heel: Unlike running where people either forefoot strike or heel strike, walking involves 100% heel striking – and you don’t have a choice. So the running shoe in question needs to have an angled heel for smoother heel landings. The outsole should have as much ground contact as possible: Since the weight loading happens in a very gradual way along the length of the shoe, you don’t want a wide midfoot gap. The midfoot should be bridged with rubber and provide continuity of outsole coverage. The forefoot should be flexible: One thing you notice about walking is that your foot flexes in a more gradual and complete manner than running. A stiff midsole is likely to tire your foot faster than a flexible one, unless the midsole has a rocker shape which allows quick roll-offs. Two shoes on the list – the New Balance 1080V9 and the Skechers GoRun Ride 7 – exhibit the said behavior. The shoe should have ample cushioning: If you’re going to spend long hours on your feet, the midsole needs to have plenty of padding. Now don’t confuse ‘cushioned’ with softness. A shoe can be well-padded without being mushy; an overly soft shoe creates more work for your muscles, resulting in tiredness. The upper should fit well and be well ventilated: This one’s critical. A shoe which is either too tight or too loose is not suitable for walking. Like running, your foot will expand after some time, so there needs to be enough room for splay. Conversely, a loose upper might cause blisters if your foot repeatedly slides over the insole. The choice of socks is important for long walks. Avoid thick cotton or woolen socks which can gather under your foot and cause blisters. Invest in a pair of socks which do not move over your skin. Most running socks fit this description. The UltraBoost 19 is, in every way, an improvement over the original UltraBoost. The new upper is lighter with more forefoot room. 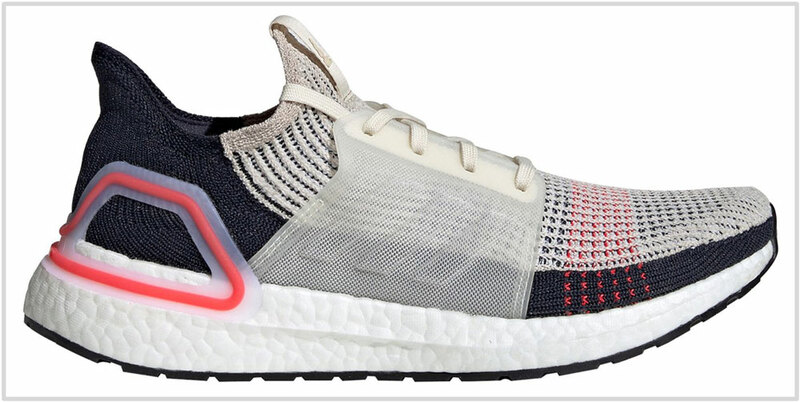 One of our pet peeves with the UltraBoost OG was its rigid plastic midfoot and heel casing. Plastic is used judiciously on the UB 19. 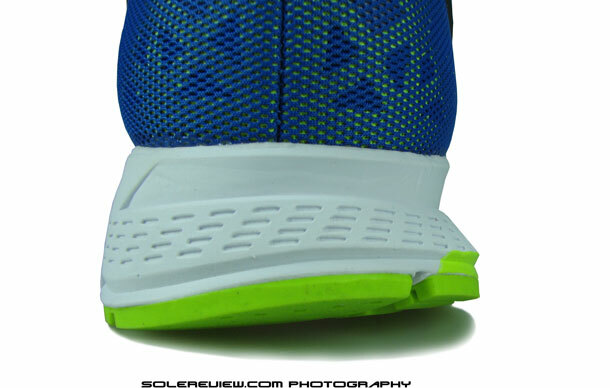 The heel clip is now just a skeletal frame which partially extends over the Boost midsole for support. The midfoot uses plastic panels except that they are thin and do not hinder movement. The full-length Boost midsole with a protective Continental outsole is the UB 19’s pièce de résistance. The voluminous midsole has ample cushioning comfort for walking all day, and the Y-shaped Torsion shank adds a bit of snap to what is a soft ride. 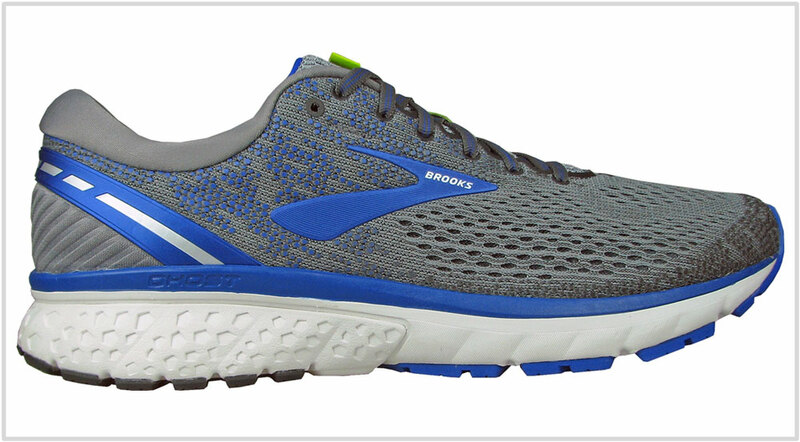 The Brooks Ghost 11’s ride and upper fit quality is an exercise in moderation. The upper has a smooth interior without any hot-spots; the midsole is cushioned but without the sink-in experience. When you combine these factors with a full coverage outsole, you have a running shoe comfortable enough for all-day walking. The Glycerin 17 is all that the Ghost is, and then some. The midsole’s cushioned and smooth ride makes the Glycerin suitable for walking speeds. The generously articulated outsole and a soft forefoot help create a smooth weight loading experience. The upper materials are plush and the ventilation levels are decent. All these ingredients constitute a plush walking shoe. In our running shoe reviews, we recommended the Ghost over the Glycerin. But when you’re walking, we suggest the opposite – the Glycerin 17 is our pick of the two. The 1080V9’s Ortholite insole and Fresh Foam midsole come together to create a cushioned platform suitable for all-day walking. A blown-rubber sheet covers the outsole to offer a smooth transition experience during walks. The sleeved upper is comfortable with enough space to splay your toes. Should you need less or more room, the 1080 is offered in 4 widths. 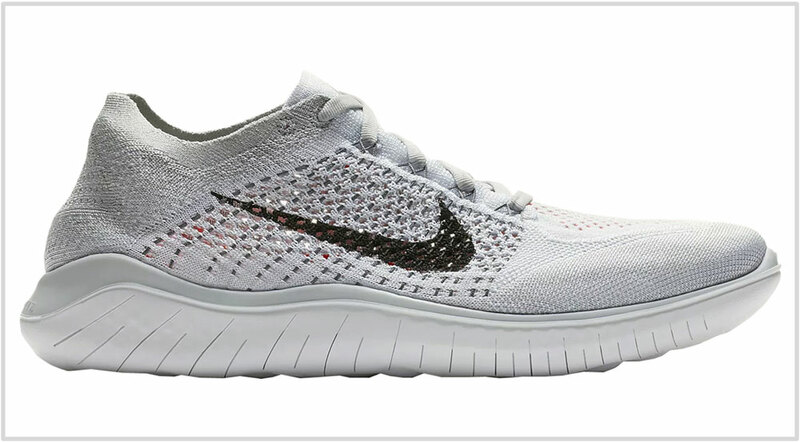 If you love the flexible feel of a sandal but crave the protection of closed footwear, get the Nike Free RN 2018 Flyknit. The uber-flexible midsole bends with each stride and is cushioned enough for most walks. This is a shoe which can be worn barefoot. The fully collapsible heel counter and the knit upper makes slipping into the shoe an easy task. The Epic React Flyknit has a widespread appeal outside of the serious runner crowd and it’s easy to see why. The Nike React foam has a dense and substantial cushioning which is comfortable for casual use and walking. The outsole is mostly foam in a full-contact geometry which helps with smooth transitions. The Flyknit upper isn’t for everyone, so try before you buy. The Reebok Floatride Ultraknit’s very soft and lightweight midsole provides plenty of cushioning for all-day walking comfort. The single-piece rubber outsole helps with the continuous loading movement associated with walking. The Ultraknit upper has a very relaxed fit. 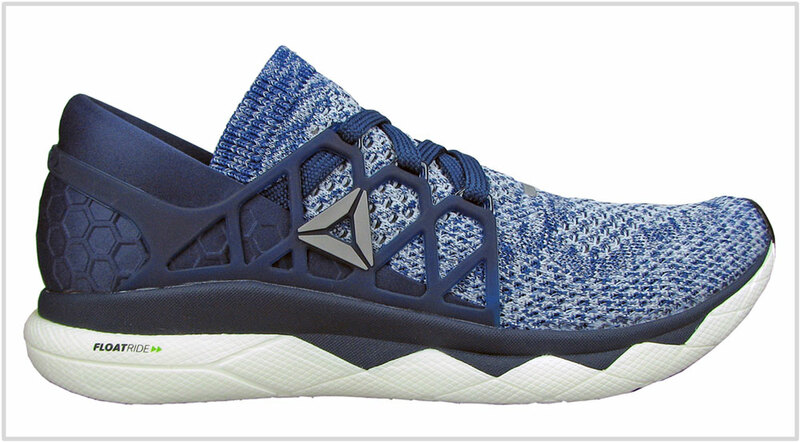 Unlike many other knit shoes, the mesh isn’t stretchy. The accommodating upper comes in handy during long walks when your foot tends to swell and needs that extra space. 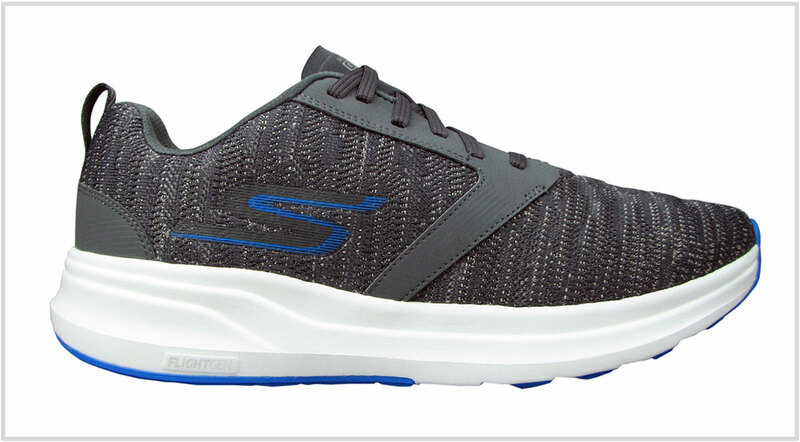 The Skechers GoRun Ride 7 has a thick midsole with plenty of high quality cushioning for multi-hour use. The upper is fairly spacious and the shoe doesn’t cost a bomb. The midsole forefoot isn’t very flexible but helps with quick roll-off.